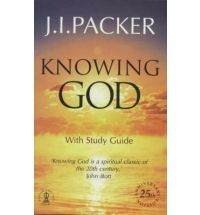 In the chapter "God's Wisdom and Ours"* from Knowing God, JI Packer uses Ecclesiastes to weave an explanation of what the Bible means by wisdom. And then he provides this wonderful summary. But what, in that case, is wisdom? The preacher [in Ecclesiastes] has helped us to see what it is not; does he gives us any guidance as to what it is? Indeed he does, in outline at any rate. remember that God will some day take account of you (11:9; 12:14), so eschew, even in secret, things of which you will be ashamed when they come to light at God's assizes (12:14). Live in the present, and enjoy it thoroughly (7:14; 9:7ff: 11:9ff); present pleasures are God's good gifts. Though Ecclesiastes condemns flippancy (cf. 7:4-6), he clearly has no time for the superspirituality which is too proud, or 'too pious', ever to laugh and have fun. Seek grace to work hard at whatever life calls you to do (9:10), and enjoy your work as you do it (2:24; 3:12ff; 5:18ff; 8:15). Leave to God its issues; let him measure its ultimate worth; your part is to use all the good sense and enterprise at your command in exploiting the opportunities that lie before you (11:1-6). This is the way of wisdom. * God's Wisdom and Ours" is chapter 10 from Knowing God. The Bible verses are all from the book of Ecclesiastes. And this quote was written as one single, flowing paragraph in the book. I have separated it into a list of sorts for ease of reading on the computer screen. We may be frankly bewildered at the things that happen to us, but God knows exactly what he is doing, and what he is after, in his handling of our affairs. Always, and in everything, he is wise; we shall see that hereafter, even where we never saw it here. (Job in heaven knows the full reson why he was afflicted, though he never knew it in his life,) Meanwhile, we ought not to hesitate to trust his wisdom, even when he leaves us in the dark. But how are we to meet these baffling and trying situations if we cannot for the moment see God's purpose in them? First, by taking them as from God, and asking ourselves what reaction to them, and in them, the gospel of God requires of us; second, by seeking God's face specifically about them. If we do these two things, we shall never find ourselves wholly in the dark as to God's puropose in our troubles. From Knowing God by JI Packer chapter nine, page 109. A few weeks ago I went to a conference for people involved in children's ministry. One of the sessions was an excellent talk on the subject of helping children/teenagers to transition from their children's ministry activities to sitting (happy and willingly) in church, given by David Goodwin from Kidsreach. At this point David spent quite a long time talking about youth groups, suggesting that it is helpful to have a youth group for teenagers - a better group to affiliate with than maybe some of the other groups on offer. Because this is a better (safer?) place to do one's searching. Which at one level I agree with, and which personally filled me with a measure of despair as we don't have a youth group at our church (with no real prospect of one starting any time soon) and I don't know of any viable youth group within coo-ee. And I have heard time and again in wonderfully encouraging conversations, letters and blog posts that what so often pulled teenagers through those years was a good youth group. A good youth group, I think, is a good thing. That said, I was delighted to read Kathy Keller's post a few days ago, especially her words about youth groups - which did remind me once again (and I need reminding on this front every now and then) that the formula for raising our kids to be Christian adults is not Gospel + Youth Group or for that matter, Gospel + _______________(fill in the gap.) Which is echoed in Cathy's wonderful post on raising kids to be Christian adults and also this quote from Disciplines of a Godly Family by Barbara Hughes. And sometimes I think people have to leave the church to do their searching. I did. It wasn't a dramatic exit. Just a slow drift away. And while I drifted off I didn't become a danger to myself or to anyone else. It doesn't have to be horrible and damaging. And in time (thankfully not too much time) God drew me back. * Have the children and adults form REAL relationships with one another. * And have whole services (maybe shorter ones) where the whole church is in together. * Teach the adults about the importance of being role models and mentors. Teach the adults the importance of forming good relationships with the children. This ought not to be the domain of those involved in children's ministry only. It is everyone's responsibility. The older generations have the responsibility to be proactive in leading the next generations to praise God. * Get lots of different adults into the children's activities to give their testimonies - to talk about their faith and how they fill their days and where God fits into all of that. One other thing David mentioned, slightly provocative but I think it has legs, is that children's ministry is perhaps too good these days. We are good at what we do and we have great resources at our disposal. And when the children move from children's ministry to church they can enter a period of culture shock. Where are the games? The prizes? The puppets? There is a fine line. We want the children to go rushing up to their parents at the end of their time together saying, "That was fantastic. We want to come back next week." And David Goodwin was talking to a nearly full auditorium of Sunday School and Scripture teachers who had given up a Saturday to attend a conference so that they could hone these very skills. If we teach children we want to be doing it well. But David said at one point that our primary responsibility should be to prepare our children for a lifetime of service to God and His church. That broadens out the scope of how we view our 30 or 40 minutes of Sunday School or Scripture time. Ultimately it is God's work but this is a wonderful big picture view of what we are setting out to do with our children's and teens' ministries. Lots of good stuff to think about. And I have to stop saying, "If you keep doing that you will have to go into church and sit with your parents." If you have any other thoughts on what might help in the transition from children's ministry to church - ideas, theories, personal stories of success or failure - David Goodwin is writing a Masters' thesis on this very topic at the moment and would love to hear from you. You can email him here. He would love to hear from you.